Mr. Aaron Rudolph “Rudy” Flinchum passed away peacefully at Jefferson Memorial Hospital on Sunday, September 9, 2018 in Jefferson City, TN at the age of 73. He is preceded in death by his parents Alfred and Edith Flinchum. Survived by his closest of friends. Rudy was born on April 26th, 1945 in Hiwassee Virginia to Alfred and Edith Flinchum. In 1963, Rudy graduated from Dublin High School in Pulaski County, Virginia and continued his education at Virginia Tech. As an only child, Rudy aspired to be a pharmacist and on May 11th,1975, he received a pharmacy degree from Ole Miss. For 43 years Rudy worked as a dedicated pharmacist and greeted his customers with a contagious smile and laughter. Known for his strong work ethic, he loved his career and never missed a shift. 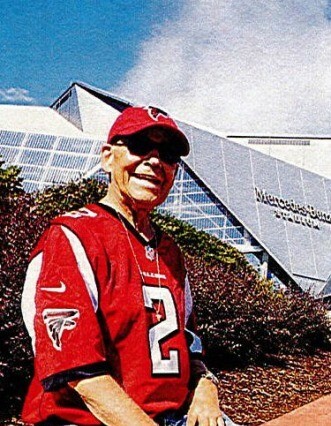 Rudy was a devoted fan of the Pulaski Yankees Baseball and a die-hard Atlanta Falcons fan (#1 Fan per Dan Quinn) frequently attending the games in Atlanta with season tickets. A Celebration of Life is scheduled for Monday, September 17th, 2018 at First United Methodist Church, 2011 Branner Ave, Jefferson City, Tennessee 37760. Receiving of friends 5-6pm and a small service to follow at 6. Pastor Lloyd Jones will officiate the ceremony. All are welcome to attend and celebrate. In lieu of flowers, contributions in Rudy’s name can be made to The American Cancer Society. The family/friends would like to thank the doctors and nurses at Jefferson Memorial Hospital for their care and support for such a special man.